If you have suffered the trauma of being involved in any form of Court or Tribunal proceedings and your Solicitor has negligently caused you a loss, as a result of their negligence in respect of Part 36 or protective offers advice, you will not only have suffered a loss but will rightly feel badly let down. 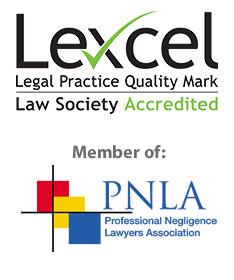 It is important to realise in these circumstances that not all Solicitors are the same and that if you had a good enough claim or defence which was damaged by a negligent Solicitor you should be able to recover the compensation you deserve, through a professional negligence claim against the Solicitor. If you are involved in any form of Court or Tribunal proceedings and your Solicitor has failed to advise you adequately about offers received from the other side or offers which you should have made to protect you as to costs you could well have suffered a substantial loss caused by your Solicitors negligence. This is likely to happen where an offer to settle has been received, which turns out to be a good offer and you do not know about it, or turn it down on your Solicitors negligent advice and you go on to Trial, but fail to beat the offer. When this happens in a Civil Court case even if you have won your case you will usually be ordered to pay the other side’s costs and your own costs from when their offer expired. Similar costs consequences can also be imposed in other types of proceedings. As a Defendant in Civil proceedings or a party in Family proceedings this can also occur if your Solicitor fails to advise you how to protect your position by making an offer to the other side. In all of these cases you can end up paying additional costs, which could have been avoided if you had been given the correct advice. The need for adequate advice about offers in settlement includes where in Civil proceedings Part 36 Offers have been made or ought to have been made to protect you as to costs. The provisions of Part 36 of the Civil Procedure Rules are very important and can create significant liabilities as to costs and interest, which your Solicitor ought to advise you about. As a Claimant Part 36 can be used to put pressure on the Defendant but it is also important to understand the significance of a Part 36 offer received in case there is a serious risk that you will fail to beat it and have to pay all costs on both side’s from the date of its expiry. As a Defendant if the Claimant succeeds they are likely to get their costs anyway however if they have beaten their own Part 36 offer they can also recover Indemnity costs and Penalty interest, which can make a substantial difference to the cost of the case. If the Claimant has a no win no fee agreement and After the Event insurance the costs of the case can far exceed the value of the claim. If your Solicitor has not given you adequate advice about these potential liabilities and the prudence of making an early and effective Part 36 offer, you may have sustained a substantial loss. It is also important to realise that although an ordinary offer to settle could expire either by express or implied rejection or by expiry of an express time limit or by expiration of a reasonable time, Part 36 offers do not expire and must be specifically withdrawn, pursuant to Part 36. This can lead to problems where the Claimant has made a below value offer, either for a quick settlement, which does not occur, or where up to date evidence has given the Claim a much greater value. If the previous and possibly forgotten low Part 36 offer is not withdrawn the other side can seek to accept it at any time, potentially leaving the Claimant bound by a low settlement. In all of these circumstances we are confident that we can help you obtain proper redress and compensation for your loss in a professional negligence claim against your Solicitor. As these claims are often complex it is important to choose a Solicitor with sufficient knowhow and experience in similar negligence claims against Solicitors to ensure that you receive the right help and guidance and to achieve the best outcome for your case. It is important to use an experienced team when it comes to making any sort of claim against a Solicitor or other legal professional because these cases are often complex and difficult and the Solicitors and Lawyers’ Insurers will use many legal arguments to challenge your claim. This is particularly the case when the subject matter of the claim is a previous Litigation claim, defence or dispute, where adverse consequences have occurred as a result of settlement offers. When a Litigation claim, defence or dispute is lost or damaged by negligent advice about Part 36 or protective offers, there are often difficult aspects to the case, which led the Solicitor to make a mistake. This gives the Solicitors’ Insurers even more opportunity to argue that it was not their fault, and even if there was negligence, you would not have obtained the outcome, which you say, was lost by the Solicitor. We have specific experience of pursuing very many successful claims against Solicitors where the Solicitor has lost the Litigation claim or defence or damaged it as a result of their negligence, including many cases involving negligent advice about Part 36 and protective offers.